Bi-weekly science column written for the Gazette. Lynne Bowker, chair of the School of Information Studies, and Elizabeth Marshman, assistant professor in the School of Translation and Interpretation. ?4U: WTF does %-) mean? Language has never been static. It is continually shifting, but non-traditional languages like Textese (any text messaging language) or Olbanian (Russian Internet slang), which are intimately tied to their technological media, seem to evolve even more quickly than the spoken word. You might think this would be a disaster for linguists, but Lynne Bowker, chair of the School of Information Studies, and Elizabeth Marshman, assistant professor in the School of Translation and Interpretation, would disagree. As with so many other researchers around the world, Bowker and Marshman see digital communication as a treasure trove. Each digital message is recorded and is computer-readable, which means that analysis software can be used to sift through mountains and mountains of data to illuminate differences between unique groups, identify patterns and chart trends over time. There’s certainly a sea of digital messages available to Bowker and Marshman. Twitter, Facebook, countless forums and a slew of other social media offer an entire spectrum of publicly available messages for researchers to dive into. As with all communication, the language we choose to use in these public arenas reflects so many facets of who we are: our own cultural, national and personal identities. Yet it’s not an intimate form of communication: these messages are more like public announcements than conversations. Text messaging, on the other hand, is extremely private. We text one-on-one to our children, our bosses and even our grandmothers, so the language we choose to use is extremely context-dependent. Some texts are more formal than others, some skip punctuation and, in Ottawa, some are a mixture of French and English. But unlike social media messages, these texts are private. 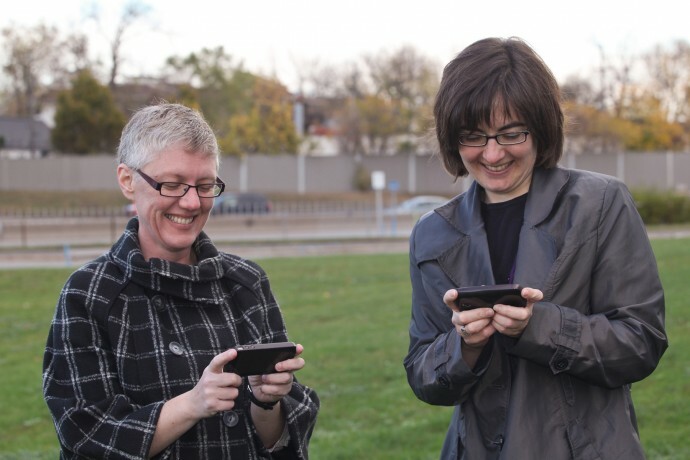 Scientists have a fairly poor idea of the texting practices of Canadians. That’s why Bowker and Marshman want you to text4science. They are part of a consortium of Canadian researchers attempting to gather over 100,000 donated messages. To participate, just forward your text messages to 202202. For more information, you can visit the project’s website at www.text4science.ca *. This isn’t the first project of its kind. In 2004, a Belgian university launched a very successful campaign to gather French-language text messages. Since then, partner universities have extended the project around the world. The Canadian project includes researchers at the Université de Montréal and Simon Fraser University, along with Bowker and Marshman from the University of Ottawa. Please consult the website for more information. What do you envision when you think of molecular biology? Maybe you see the marvels of evolution or symphonies of chemical complexity. Mads Kaern sees spare parts. 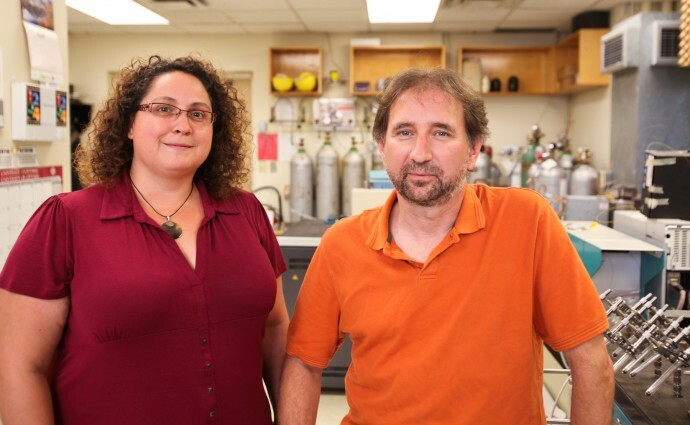 Kaern, a member of the Ottawa Institute of Systems Biology, is a sort of biotechnology inventor. He approaches networks of genes (the units of DNA that code for proteins and, thus, set many of our phenotypes) like an electrical engineer would approach a circuit. By knowing how the component genes interact, Kaern can predict what will happen if he replaces one gene with another. When Kaern wants to engineer a new network, he needs these vital chunks of DNA. But where can he get them? One answer is he can buy them. Companies exist that own genomic libraries and let scientific researchers, like Kaern, use these libraries—for a price. But that cost can be frustratingly high and Kaern is an inventor: he needs a large toolbox. In response to the privatization of genetic libraries, the Registry of Standard Biological Parts was founded in 2003. It’s an open source genetic archive of over 3,400 biological parts available to everybody. Like so many open source projects, the Registry encourages users not only to take from the archive but also to give back to the community. That’s ok with Kaern. One way that he contributes to the community is by participating in iGEM, the International Genetically Engineered Machine competition. Teams of students are sent a kit of biological parts from the Registry and given one summer to use the parts to build useful biological systems. Kaern has led the uOttawa team for four years. Last year it won a gold medal for contributing a new standardized sequence of DNA for eukaryotic cells. Kaern and his team are part of iGEM, which holds a Creative Commons licence. Not only do they have the community’s toolbox open to them but they also participate in a competition that encourages ideas to flow quickly throughout the scientific community. Getting to see what works and what doesn’t for other groups is invaluable to a biotech inventor like Kaern. 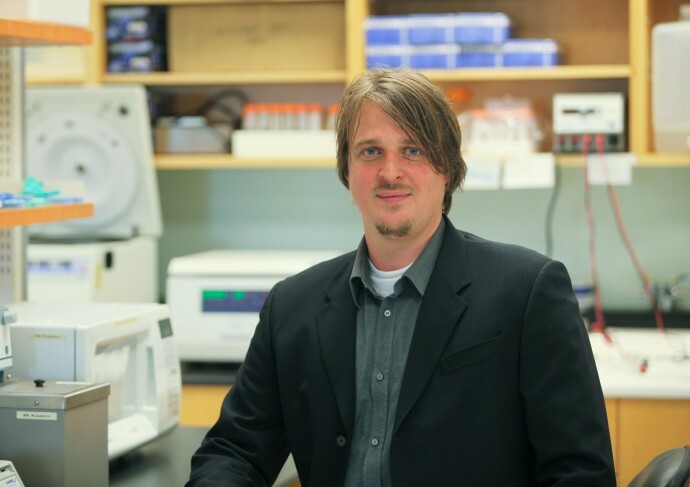 Note: Professor Kaern will be discussing the Registry of Standard Biological Parts and iGEM on September 30 at 11:00 a.m. at the Syn-Bio Colloquium. The all day– colloquium, which will discuss the interface between science and policy, costs only $11.30 for students. In 2001, the skeletal remains of a woman were discovered in downtown Montreal. The corpse, dubbed Madame Victoria, had lain undiscovered near the Royal Victoria Hospital for two years. Police had nowhere to start and the case went cold. Five years later, the RCMP invited University of Ottawa professor Gilles St-Jean to suggest ways his research on stable isotopes could help forensic science. The force was excited about the possibilities, and decided to run a pilot project. St-Jean hired post-doctoral researcher Michelle Chartrand to apply isotope mass spectrometry and help law enforcement officials. After five years of work, St-Jean and Chartrand can now determine where people (even those like Madame Victoria whose corpses have decayed over a decade) have recently been, thanks to isotope analysis. The food we eat and the water we drink is made up of atoms, atoms that come in different flavours, known as isotopes. Isotopes are atoms of the same element but with different mass. For instance, hydrogen has two stable isotopes (common hydrogen-1 and rare hydrogen-2), while oxygen has three (common oxygen-16, rare oxygen-18 and -17). Isotopes become incorporated in our bodies though our diets and the water we drink. This means that analyzing the stable isotopes in tissue can tell investigators all sorts of interesting things. For example, vegetarians are easy to spot through analysis of nitrogen, while North Americans, with their different diet, are easily distinguished from Europeans through carbon signals. Most importantly for criminal investigations, stable isotope analysis can reveal differences of location. Isotope presence isn’t the same everywhere. Water found in different regions has different isotope content. St-Jean and Chartrand can measure the ratio of isotopes found in a person’s tissue, compare it to a reference and determine if there is a match. Even better, a person’s hair offers more information than ordinary tissue. Since it grows at about 1 cm per month, hair acts as an archive that records location over time and potentially provides police with years worth of information. Three years ago, all this this forensic power was useless. To actually figure out where a person was from required a database mapping out isotope ratios across the country. So Chartrand and undergraduate researcher Jonathan Mayo jumped in a car and spent four years driving over 40,000 km across Canada building a detailed map of isotopes. Armed with their invaluable map, St-Jean and Chartrand solved the police’s quandary: Madame Victoria had lived in seven separate locations in the three-and-a-half years prior to her death. She began in northern Ontario or Quebec and moved southward, stopping intermittently until she arrived in Montreal. And none of this could have been known without the forensic power of isotope analysis developed at uOttawa.